Home » Can Too Much Exercise Contribute to Infertility? Can Too Much Exercise Contribute to Infertility? A 2012 article from US News & World Report focused on the leading causes of infertility, a condition which, according to the Centers for Disease Control and Prevention (CDC), affects some 7.3 million women between the ages of 15 and 44. Some of the findings were surprising, particularly when it came to exercise and current weight. The article cited a March 2013 study published in Fertility and Sterility that found women of normal weight who had a Body Mass Index (BMI) of less than 25 and who participated in five or more hours per week of vigorous exercise were 42 percent less likely to get pregnant than those who did not exercise at all. According to Jessica Scotchie, who is a reproductive endocrinologist in Chattanooga, Tennessee, too much exercise has an adverse effect on menstruation and ovulation, which in turn affects fertility. Scientifically speaking, the pituitary gland, responsible for generating the hormones that regulate ovulation, interprets this amount of exercise as a form of bodily stress, thereby hindering ovulation in order to avoid further stress. As such, women of average weight are encouraged to move in moderation when they are trying to conceive. Surprisingly enough, the same study showed the exact opposite for women who were overweight or obese, citing that in this situation, strenuous exercise made no difference in fertility rates. Again, there is a scientific explanation. Obesity results in high levels of sugar in the bloodstream. The abundance of sugar causes the pancreas to produce elevated levels of insulin, and this insulin causes the ovaries to produce more testosterone than normal. Too much testosterone in a woman’s body leads to irregular ovulation and menstruation, and therefore may cause fertility issues. Overweight and obese women should exercise regularly and consume a balanced, healthy diet in order to improve fertility rates. Women are not the only gender in which weight and exercise have a direct impact on fertility. Obese men have an abundance of fat cells, which contain a substance known as aromatase. Aromatase is an enzyme that converts testosterone into estrogen, and while this is normal in men to a degree, men who are obese often have too much estrogen in their bloodstreams. This estrogen binds to androgen receptors in the brain, making the pituitary gland believe that there is too much testosterone when, in fact, there is not enough. As such, the male body stops producing the right levels of testosterone, leading to low sperm counts. Leisurely exercises such as walking, yoga, gardening, cycling and light aerobics are good for everyone who wants to improve fertility rates. 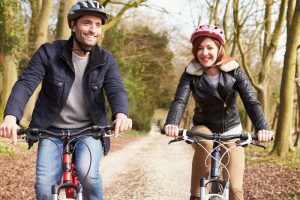 The same study in Fertility and Sterility found that fertility rates increased slightly among men and women of all body types, fit or obese, when they engaged in these activities several times per week. Experts claim that 30 to 60 minutes of low-intensity exercise is the best route since it does not affect fertility, but still burns enough calories (along with dieting) to help overweight and obese patients lose weight slowly. Of course, the study in Fertility and Sterility is not the only published study backing claims that too much exercise affects overall fertility rates. Another study in the revered Obstetrics & Gynecology journal found that women who exercised more than 30 minutes per day were at a greater risk for ovulation disorders. 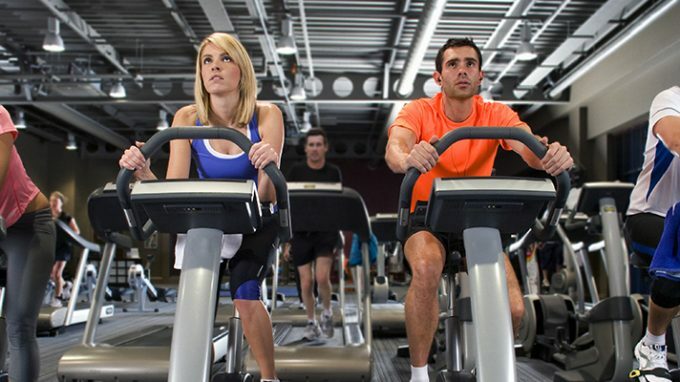 A 2009 study in Human Reproduction conducted over the course of a year with hundreds of participants also linked vigorous exercise to lowered fertility. Further research shows that 12 percent of the more than seven million cases of infertility are linked to low BMI while another 25 percent are linked to high BMI. With all of this information in mind, it may seem difficult to decide how much exercise is enough and how much is simply too much. 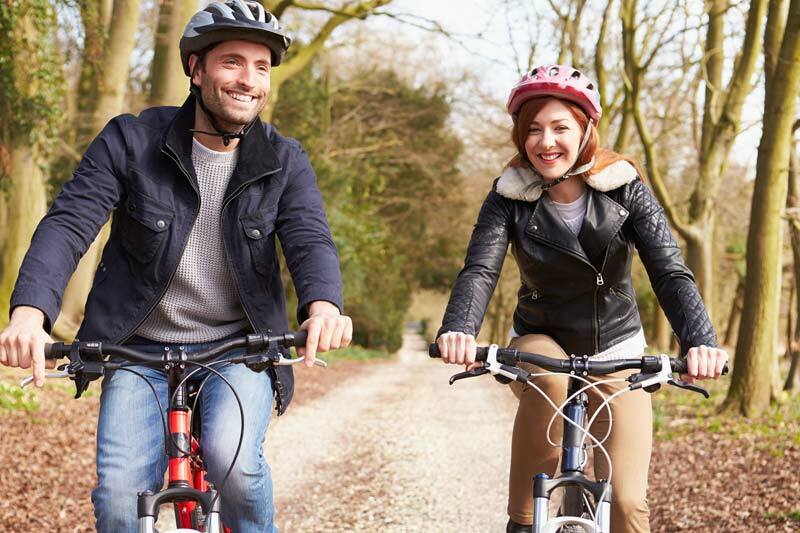 Overall, men and women who are of healthy weight with a BMI of 25 or less fare better when exercising leisurely for no more than 30 minutes per day. Conversely, men and women considered overweight or obese with a BMI higher than 25 should exercise moderately for up to 60 minutes per day. Everyone should combine their exercise with a healthy diet in order to see the best results. Many factors contribute to fertility in both men and women. Although some are chemical in nature and require medications, hormones, or supplements, others, such as exercise, require a lifestyle change. Women with BMIs of 25 or less who leisurely exercise for 30 minutes several times per week have the highest natural fertility rates according to all of these studies.